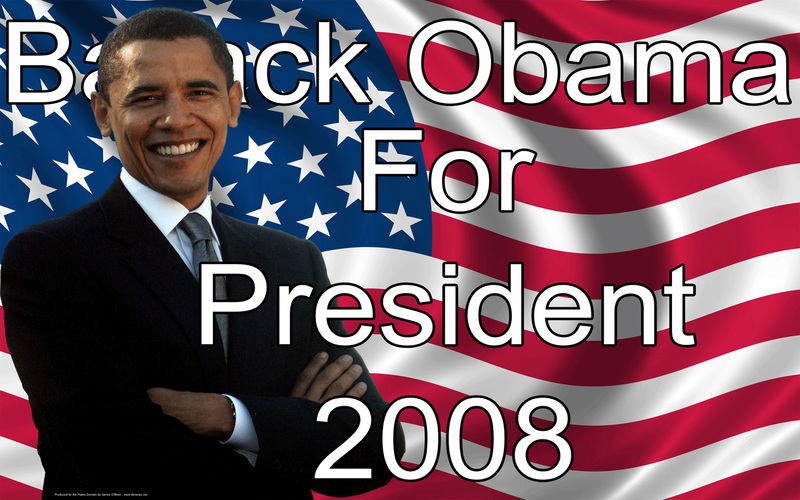 Obama 2008 (Widescreen). Nice wallpaper made oleh computer and network specialist James O'Brien. Be sure to give him a pat on the back at:. HD Wallpaper and background images in the Barack Obama club. "OBAMA O8" THE BEST PRESIDENT EVER,THE FIRST BLACK PRESIDENT,THE 44 PRESIDENT OF THE UNITED STATES, AND THE "FIRST EVER GOOD LOOKING PRESIDENT"!!!!!!!!!!!!!!!!!!!!!!! ;):) "OBAMA O8"